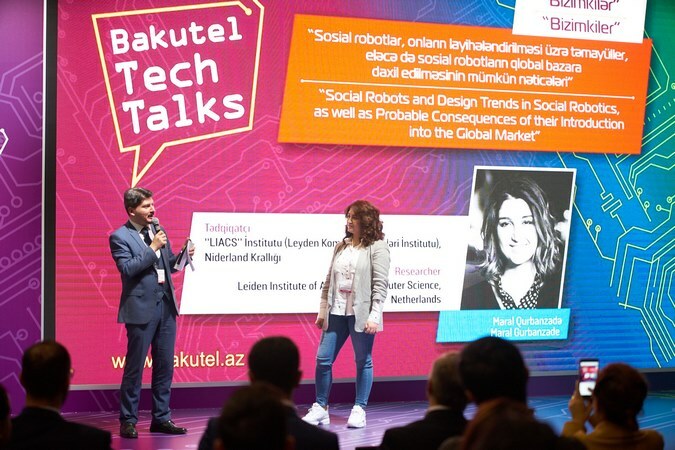 In addition to annual meetings and conferences, the exhibition announced Bakutel Tech Talks, a new dynamic discussion platform created by exhibition organisers. 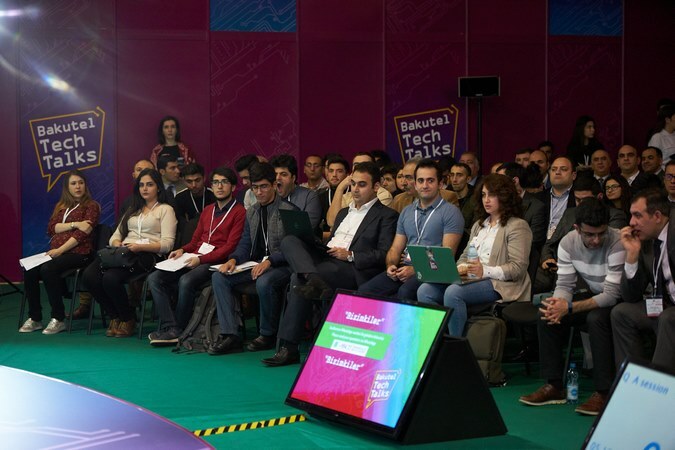 Tech Talks was opened by ITV's famous TV presenter Vusala Said, who kicked off the Bizimkiler session. The name of the session came from the fact that our compatriots working abroad in world-renowned IT companies were the speakers. The purpose of the session was to convey to the audience the experiences of large international IT-companies, and to acquaint them with the latest industry know-how. Zaur Fataliyev, Senior Engineer, LG Electronics, Korea - “Deep Learning for Computer Vision”, Elchin Asgarli, Software Engineer, Google, USA – “Modern Full Stack Software Engineering”, Maral Gurbanzade, Researcher at Leiden Institute of Advanced Computer Science, Netherlands – “Social Robots and Design Trends in Social Robotics, as well as Probable Consequences of their Introduction into the Global Market”, Taghi Aliyev, Full time Doctoral Student at CERN, Switzerland – “Artificial Intelligence (AI) in Healthcare and Science: Known and Unknown Facts; Limits and Potential Reach of Artificial Intelligence” made reports and Rustam Hashimov – Senior Software Engineer, Facebook, USA - “Personalized Recommender Systems in Online Platforms: A Case Study of Modern Era Software Development and its Implications”, who completed this session. 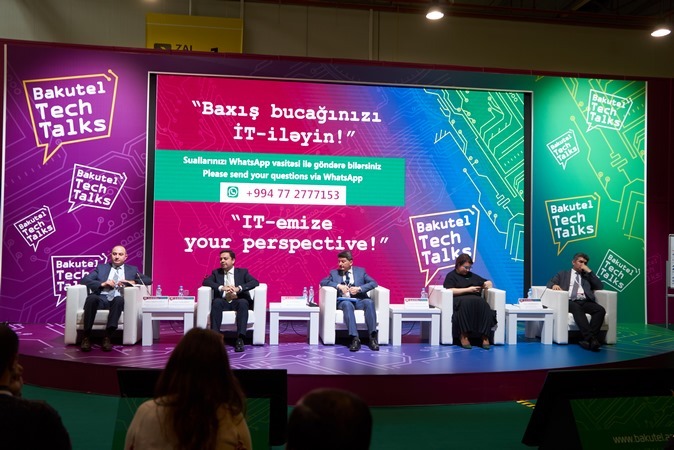 Then, Bakutel Tech Talks continued with panel discussions under the slogan "IT-emize your perspective." The main idea was that IT and solutions were in great demand in certain industries (TV & Radio broadcasting, transport, education, tourism). 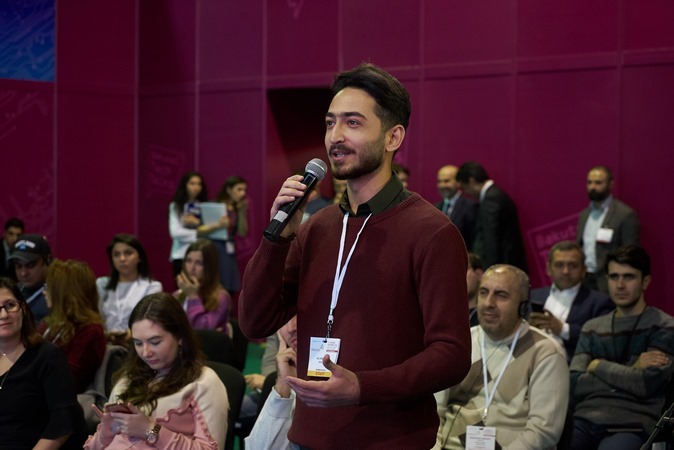 The purpose of the event was to establish a dialogue between consumers and suppliers of digital innovations, and the first topic tought vectors of development of television technologies. The session was moderated by Tural Yusifov - Author of “AvtoStop” Project and Ismail Aliyev - Advisor to Director General, İctimai Television, Fikret Azimov – Deputy Technical Director, Azad Azerbaijan TV and Ali Aliyev, - Head of New Projects Development Department, KATV1 joined the discussion. Further discussions included the panel "IT in Transport" with the participation of the following speakers: Ramin Bayramov – Head of Information Analysis and Information Technologies Depatment, State Road Transport Service, Samir Karimov – Executive Director, 189 Taxi Service and moderator was Tural Yusifov - Author of “AvtoStop” Project. 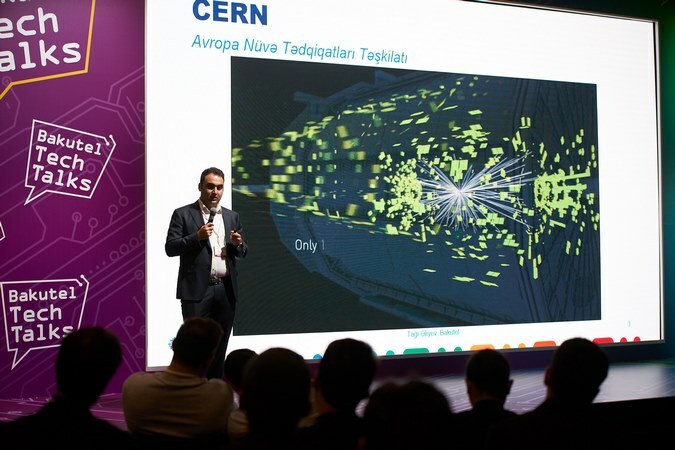 The moderator of the next panel "IT in Education" was Jahid Ismayiloglu, PhD in Philology, researcher, Institute of Linguistics named after Nasimi, Azerbaijan National Academy of Sciences. 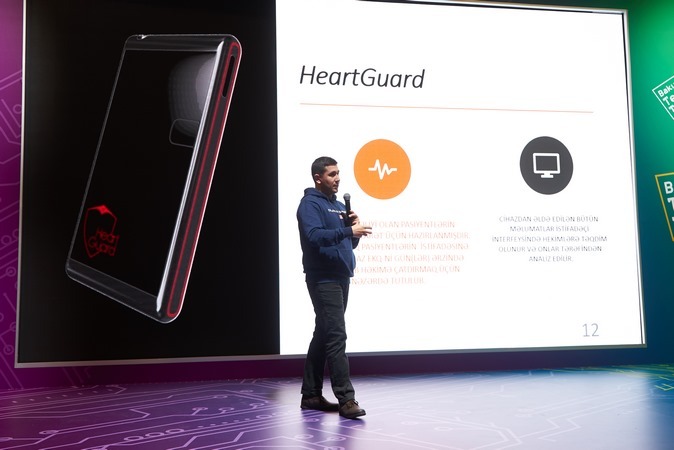 The main speakers were Vusal Khanlarov – Head of the Bureau on ICT for Education, Ministry of Education of the Republic of Azerbaijan and Tatyana Mikayilova – Co-Founder, Edutainment.az, and Anar Mammadov – Deputy Director, MEC International School. The panel ended with the discussion on "IT in Tourism," in which Nigar Arpadarai – Head of marketing and communications, F1 Azerbaijan GP was the moderator, and the speakers were Ildirim Gambarov – Deputy CEO, Pasha Travel, Mahammad Muradov – Head of Tourism Policy Department, Azerbaijan Tourism Board, Rufat Baghirov – Director, Baku Tourism Information Center. 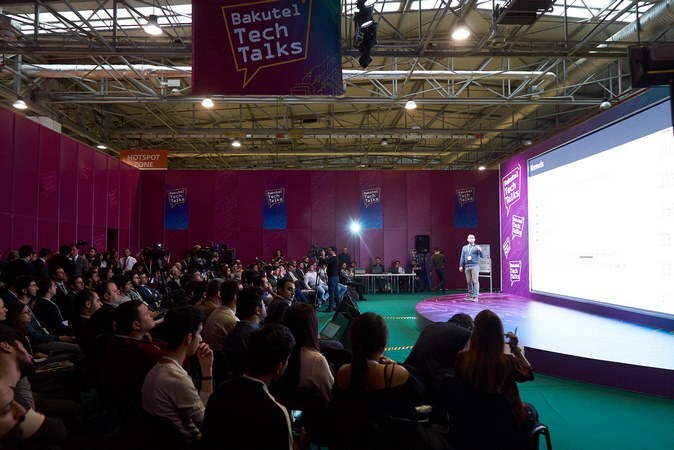 The Bakutel Tech Talks programme was continued with the session “From Start-up to Business,” to which start-ups and business youth were invited. In this session, experienced speakers conveyed to the audience their confidence that all ideas could be implemented. The first outstanding presentation was delivered by Tal Catran, a business guru from Israel - a well-known expert in the field of building businesses and start-ups, a major investor, entrepreneur, founder and leader of several business accelerators and international innovation centres in Israel, and a member of the advisory board and chairman of several start-ups. He has extensive experience in managing large Hi-Tech companies and start-ups at the seed stage in a wide variety of technologies. 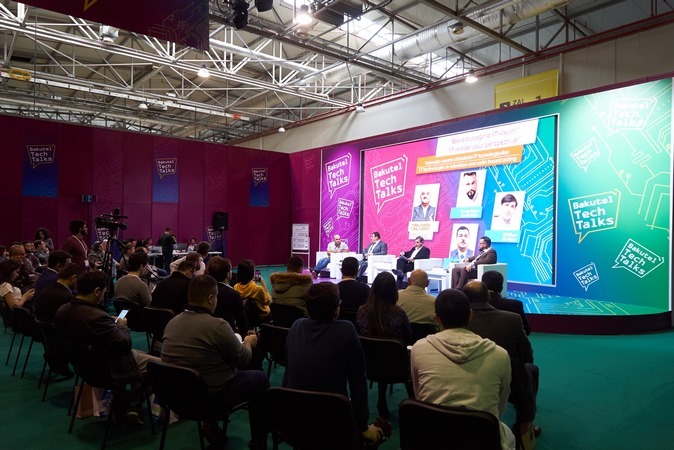 Interesting speakers in this session were Javid Mammadov - Director, Sumaks Technologies LLC, Farid Pardashunas – Founder, Technote Media & Hotbots Robotics, Magrur Rzayev – Software Developer, PictoFy. The main idea of ​​all the reports was to explain how a start-up system works and how to build start-ups correctly - from idea to running the business. This session was a godsend for those who want to know how to find, test and implement their ideas, why it is important to share an idea and how to prevent it from being stolen. Tech Talks addressed the most pressing issues of the industry and became a sought-after platform for discussions with opinion leaders. 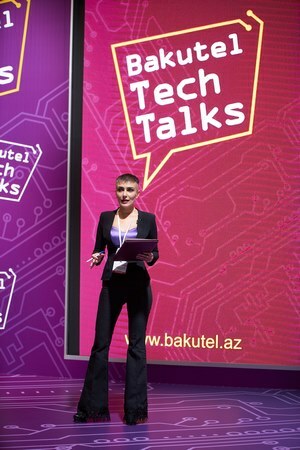 The organisers plan to hold Bakutel Tech Talks annually at the exhibition.